A delicious blend of rich, malty black teas from the mountains of India, perfectly balanced with a luxurious taste of maple, and a sprinkle of cinnamon. Steep for 3 to 5 minutes in freshly boiled water, serve sweetened with frothy milk, and you will enjoy a decadent dessert latte. 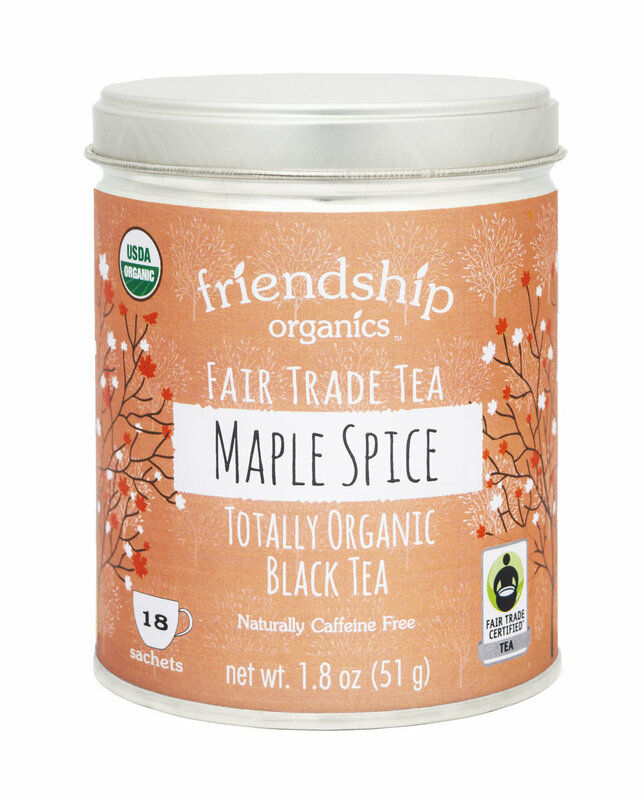 Ingredients: Fair Trade Certified and Organic black tea, organic cinnamon and organic maple flavor. Maple Spice contains 92% Fair Trade ingredients by dry weight.